During the Virginia convention held in May 1775, the colony was divided into sixteen districts. Each district had instructions to raise a battalion of men "to march at a minute's notice." Culpeper, Orange and Fauquier, forming one district, raised 350 men in "Clayton's old field" on the Catalpa estate, who came to be called the Culpeper Minute Men. 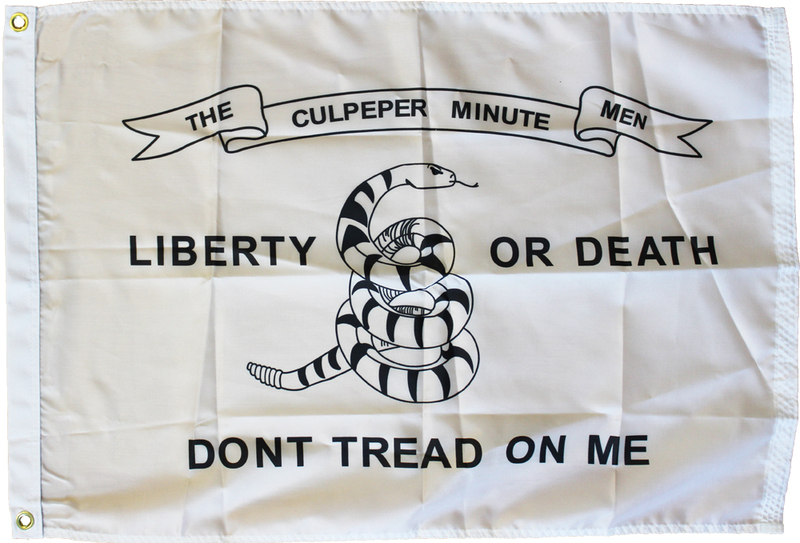 The Minute Men, marching under their flag depicting a rattlesnake and inscribed with the words "Liberty or Death" and "Don't Tread on Me", took part in the Battle of Great Bridge, the first Revolutionary battle on Virginia soil. 100% Nylon for long-lasting outdoor use.